Doing business in Latin America and Mexico can present any number of challenges for an organization. With regulations tightening many countries are turning to the Procure-to-Pay process to help enforce regulations. When a country or local county/municipality launches a procure-to-pay solution they are able to track spending and increase transparency. The first way organizations can track spending is via categorizing items via UNSPSC’s (read more about UNSPSC’s here). When a buying organization is ready to buy an item, they need to know what accounting code to map that to in their financial system. That’s where UNSPSC’s come into play. An organization may be buying food for their cafeteria, let’s say apples. In their financial system they need to know that apples are billed to the cafeteria so they assign “apples” to be UNSPSC “50311539”. 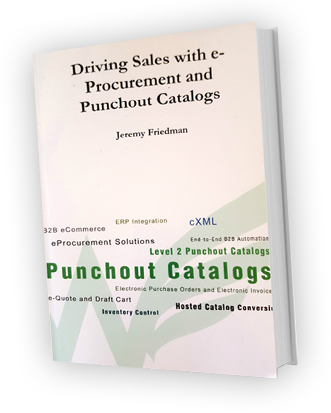 When a supplier purchase order is issued (via a punchout catalog or hosted catalog) that purchase order will contain the order total, the line items, item quantity and item UNSPSC. 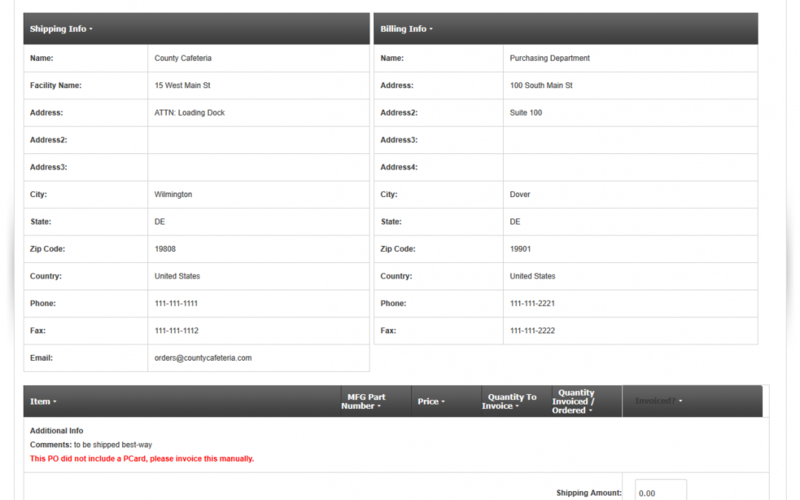 See how a purchase order looks in our system above. Now let’s talk about why those UNSPSC’s are important to the supplier. Now the supplier ships the apples and is ready to send an invoice for this purchase order. Especially in Latin America and Mexico, buying organizations want an electronic invoice (e-invoice) sent back to them. This e-invoice can be received by the Procure-to-Pay system. When the supplier sends the e-invoice to the buying organization, the procure-to-pay system can match the line items by line numbers, part number, quantity and UNSPSC so the invoice can be directly imported into the financial system. The financial system will know that the UNSPSC for apples (50311539) maps to the cafeteria so the invoice can be paid automatically. Why does the buying organization care? Because this creates a full audit trail from their financial system. The data flow from the buying organizations systems to the supplier and then back are all linked systems. This avoids paper invoices being sent or PDF invoices being emailed. You might ask, “what can I do to make this process easier?” As a buying organization, make sure you specify what data you would like the supplier to provide (specific versions of UNSPSC, any invoicing requirements, etc.). As a selling organization make sure you map to the specific UNSPSC’s requested by your customer. If you’re a manufacturer helping your distributor setup UNSPSC’s, make sure your products are accurately categorized.